When the polar bear population increases by 500% it hardly qualifies as being endangered. In fact, ask the people who have their arms torn off by these cuddly little fellows whether they are as nice as they are pictured by the eco-nazis. How did the polar bear, one of nature’s most vicious beasts, become the doe-eyed poster boy for the green lobby? 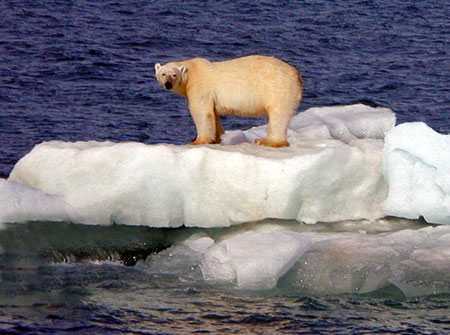 The global polar bear population has increased from around 5,000 in the 1960s to 25,000 today.